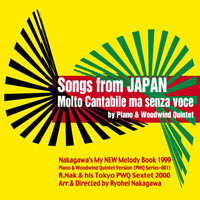 13　Itsugi-no nuesery song.，Vocal　2'01　Japanese folk song. 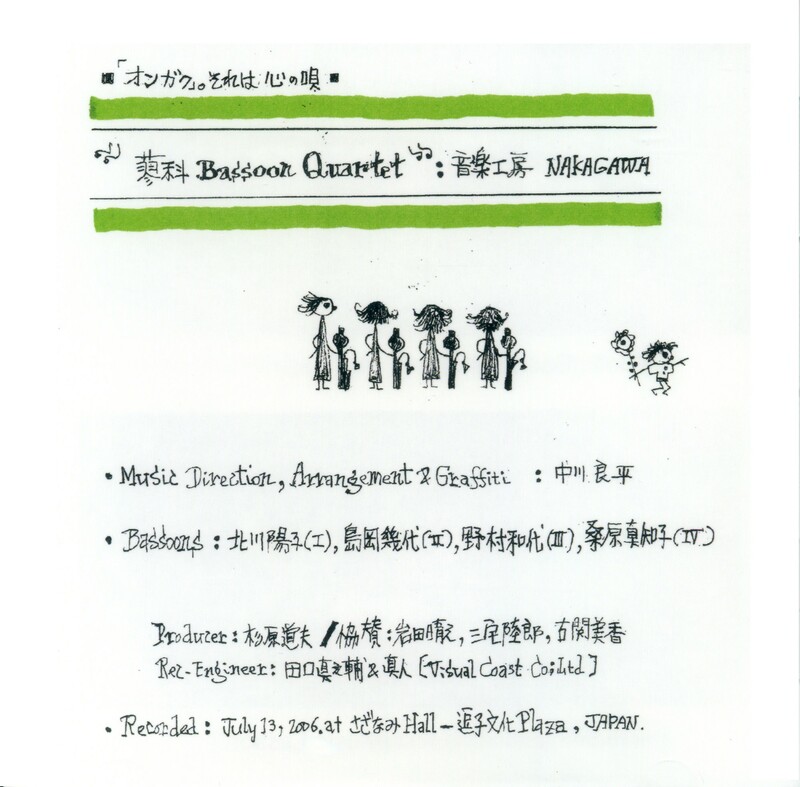 The Tateshina Bassoon Quartet is made up of young wind musicians who have taken part in the "Nakagawa Music School" conducted by Ryohei Nakagawa every summer at Tateshina Kogen located in the mountains of Nagano Prefecture in Japan. 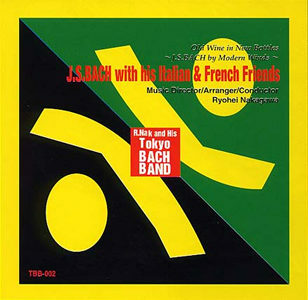 In October 2008, the quartet added a keyboard player and performed at concerts in Osaka and Nagoya. These performances were quite possibly the first "ALL BACH PROGRAM" played by bassoon players (including a performance by a bassoon band made up of 12 players) and were very well received. In 2009, Sayaka Uematsu was added to the Quartet as keyboard player so the quartet became the "Tateshina Bassoon Quartet + 1." The group received a recommendation from the Japan Bassoon Society and performed at their world debut concert on July 22 at the IDRS Conference held in Birmingham, England(unanimous recommendation of the I.D.R.S. Committee). We all know that J.S. Bach himself often transcribed pieces written for one instrument to another instrument. For example, when his E major Violin Concerto BWV-1042 became a Harpsichord Concerto BWV-1054, the key was changed to D major to get more sonority. And the 3-notes theme for violin was turned into a 9-notes theme for harpsichord. Because of the instrumental nature, a harpsichord could not sustain a single note long enough to carry on his phrasing forward as he wished. It seeems Bach did not demand harpsichord to be an ultra-super one, but sensitively understood the nature of the instrument. If the Industrial Revolution had occured 250 years earlier, and if he were familiar with our modern winds and brass, would he have transcribed a single string instrumental piece to a single wind instrumental piece? May be with a plentiful amount of rest? At the same time, one wonders if J.S.Bach had been borne in 1935 instead of 1685, would he have refused to have his music played by Segovia's guitar? Variations compact disc because they are not played by a lute, viola da gamba, or cembalo?